Bone is a highly specialized form of calcified connective tissue that makes up the majority of the skeleton. It is composed of an intercellular calcified matrix, which contains collagen fibers and several types of cells embedded within. Bones of the adult skeleton provide suitable resilience against stress, support for the body, vital organ protection, calcium and phosphorus reservoirs, continuous supply of new blood cells (produced by bone marrow), as well as levers for muscles to act on to produce movement. A membranous fibrous connective tissue, the periosteum, covers all bones except where articular cartilage is present. It has the unique capability of laying down new bone (especially during the healing of fractures) and providing an interface for the attachment of tendons and ligaments. There are two types of bone, trabecular (cancellous or spongy) and compact. Compact bone is a thin dense superficial layer that forms the outer shell of most of the bones. It surrounds the central mass of spongy bone, and provides strength for weight bearing. The spongy bone, however, consists of bone spicules (trabeculae) that enclose cavities containing blood-forming cells (marrow). Bones, in general, are classified according to shape. Long bones are tubular, while short bones are cuboidal in shape. Flat bones are formed by two compact bone plates separated by spongy bone. Irregular bones come in various shapes, and sesamoid bones are round and develop in tendons. Bones are richly vascularized structures, mainly supplied by the nutrient arteries that pass through the nutrient foramina. Vasomotor nerve fibers accompany the arteries and regulate blood flow. Sensory nerve fibers are scarce in bone, unlike the periosteum that’s richly innervated with pain fibers sensitive to tension and tearing. Developmentally, all bones originate from the mesenchyme by either intramembranous or endochondral ossification. It takes most bones years to grow and mature. The muscular system consists of all types of muscle in the body, though the voluntary skeletal muscles are the great majority. The other two types of muscles are the cardiac and smooth muscles. They form important components of organs in other systems, like the cardiovascular, alimentary, genitourinary, integumentary, and visual systems. Muscles cells (myocytes) are specialized contractile cells that are often called muscle fibers due to their long narrow shape when relaxed. They’re organized into tissues that move or reduce the circumference of internal organs. Connective tissue binds them into bundles, and conveys nerve fibers and capillaries to the cells. The three types of muscles are distinguished from one another by whether they are: controlled voluntary or involuntary, appear under the microscope striated or non-striated, associated with the body wall (somatic) or with organs and blood vessels (visceral). 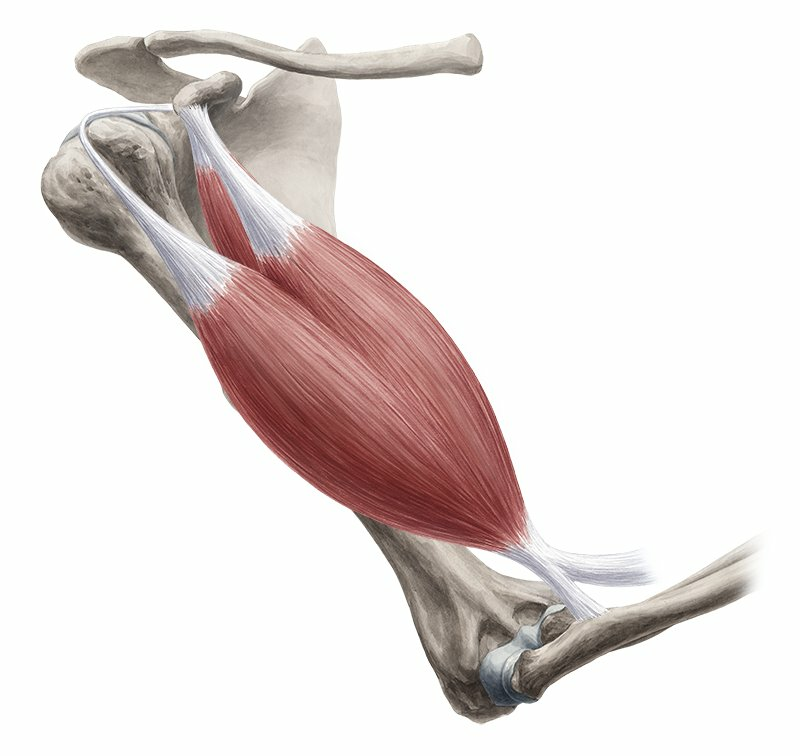 Skeletal muscles are voluntary and striated, and capable of powerful contractions. They form the majority of the muscle tissue in the body. Cardiac muscles are involuntary, striated, and found only in the wall of the heart, and some of the large vessels close to it. There contractions are less powerful, yet more resistant to fatigue. Smooth muscles are involuntary, yet unstriated. They form part of the walls of most vessels and hollow organs, and via their sequential contractions, substance movement is allowed through them. Each muscle serves a certain function in moving or positioning the body. Prime mover muscles produce specific movement and expend most of the energy. Fixators steady the proximal parts of a limb, while movement occurs at the distal parts. Synergist muscles complement the movement of the prime mover muscles. And antagonists oppose the action of another muscle. It must be noted that the same muscle could perform more than one function, depending on the situation. Want to learn more about the First look at bones and muscles?